Planning an event? Order AIFS materials! 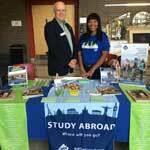 Did you enjoy studying abroad with AIFS? 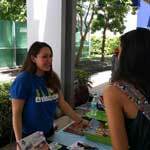 Do you want to share your study abroad experiences with other students on campus and online? The AIFS Alumni Ambassador program is a professional development and leadership program designed to allow a limited number of exceptional AIFS alumni the opportunity to promote studying abroad on their campus, develop skills relevant to their career aspirations, and share their experience with interested students. Currently less than 10% of the US college population studies abroad, so there is a lot of room for growth. As an Alumni Ambassador, your primary responsibility is to help increase awareness about studying abroad at your university. 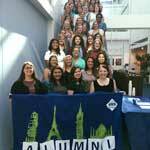 Alumni Ambassadors play an important role, but you won't be going it alone! You will be provided with a helpful toolkit filled with resources as well as support from the AIFS Alumni Team and the AIFS representative for your campus. Direct support from the AIFS Alumni Team and AIFS staff around the U.S. Exceptional performance will be recognized with an opportunity to attend NAFSA Advocacy Day in Washington, D.C. Alumni Ambassadors from the American Institute for Foreign Study are guaranteed a $10,000 scholarship for a Middlebury Institute of International Studies (MIIS) master’s program. MIIS recognizes AIFS Ambassadors commitment to service, language, and cross-cultural communication as a valuable part of our campus community and global alumni network. American Institute for Foreign Study Alumni Ambassadors are guaranteed a $10,000 scholarship toward a master’s degree at the Middlebury Institute. What is one highlight of your study abroad experience that you want to share with students? 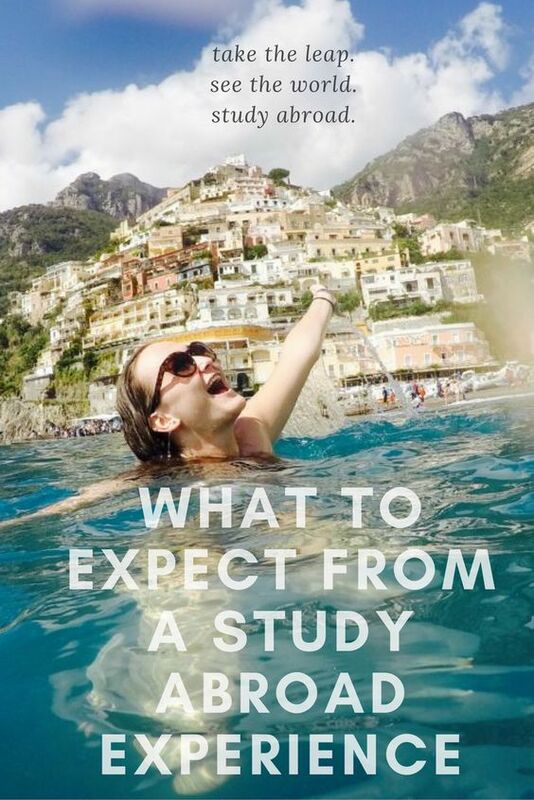 AIFS is committed to making sure all students know that study abroad is available to them. As such, we ask Ambassadors to connect intentionally with communities that are currently underrepresented in study abroad on their campus (Ex: students of color, students with disabilities, STEM majors, etc.) and serve as a resource. Please list one community you would connect with as an Ambassador and an idea for outreach. What skills do you want to develop through your participation in the Ambassador program? Once you have submitted your online application, you need to send your resume, a cover letter indicating why you want to serve as an Alumni Ambassador and a favorite photo from your time abroad. These materials need to be submitted by the application deadline to alumni@aifs.com. We will confirm receipt of your materials by email, and those with whom we want to speak more will be invited to interview with the Alumni Team. Interviews are 15 minutes in length and can be done by phone or Skype. All applicants will be notified of their status in the program through email by mid-June. Anyone to whom we are unable to offer an Ambassador position will be invited to join our Alumni Advocate program. Fast-paced! We have roughly two days to cover a lot of information and allow you time to connect with the other program participants. We provide an Alumni Ambassador Handbook prior to training that all participants are expected to read. We spend the training allowing Ambassadors time to learn how to articulate their experiences and craft an elevator pitch which they can use on their campuses and in the job search. We have modules that allow you to get comfortable with presenting at information tables, in classrooms and with student organizations. Training is held each year in early August. AIFS will provide you with a round-trip flight from your nearest major airport to New York; transportation between the airport, hotel, and training location in Stamford, CT; two nights' accommodation in a local hotel room shared with another Alumni Ambassador; and most meals. Students must be able to attend the entire training in order to participate in the program. Applications for the 2019-2020 program are now open, apply here. If you would like to share your experience abroad but do not meet the eligibility requirements, we encourage you to join the Alumni Advocate program or join our "Ask Alumni" program. If you have any questions, please email the Alumni Team at alumni@aifs.com.